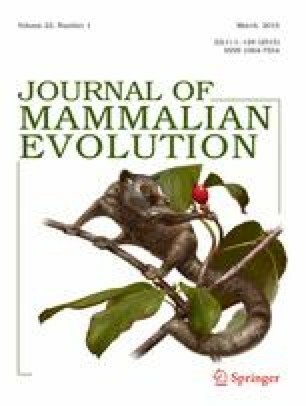 A well-preserved felid skull from the Turolian (late Miocene) of Karaslari (FY Republic of Macedonia) is described and assigned to a new taxon, Yoshi garevskii, gen. et sp. nov. The new genus Yoshi is characterized by a round, short, and deep skull, and short canines that are somewhat transversely compressed but are not serrated. We assign to the same genus the poorly preserved skulls from the Aegean region described as Metailurus parvulus (Hensel, 1862), the Chinese type of “Metailurus” minor Zdansky, 1924, as well as some other skulls from China. The latter name thus becomes Y. minor (Zdansky, 1924), but the former name is a nomen dubium. The genus Metailurus Zdansky, 1924, is represented by the type-species M. major Zdansky, 1924; it considerably differs from the forms here referred to the new genus, and is closer to the Machairodontinae. Although definitely more plesiomorphic in dental features, Yoshi, especially Y. garevskii, reaches a high specialization in its skull shape, parallel to that of the cheetah, suggesting that it represents the first attempt towards the morpho-functional model of this modern felid. The online version of this article (doi: 10.1007/s10914-014-9266-5) contains supplementary material, which is available to authorized users. This paper is dedicated to the memory of Prof. Risto Garevski, whose extensive excavations yielded the rich collections housed in Skopje, of which the skull that forms the basis of the present paper is but one of the best pieces. Thorough and detailed comments by M. Salesa, an anonymous reviewer, and the editor J.R. Wible much improved our manuscript. We thank Zhan-Xiang Qiu (Beijing) for allowing N.S. to access the collections of the HMC and for the kind permission to mention undescribed material. We thank M. García Sanz (MNHN) for the CT-scan, F. Goussard (MNHN) for his help with the 3D image processing, Deng Tao (Beijing), S. Roussiakis (Athens), and L. Werdelin (Stockholm) for sending us measurements and photos of fossils in their care, S. Petkovski, Scientific Director of the MMNH-Sk, for kindly allowing us to study the Karaslari skull outside the Skopje Museum, J. Morales for giving access to the collections of the MNCN-CSIC, and G. Markov (NMNHNS) for his valuable comments. Special thanks to Velizar Simeonovski (Field Museum, Chicago) for the reconstruction of the life appearance of Yoshi garevskii. Travel funds of the authors were provided by the Development of the Bulgarian Science Foundation (Bulgarian Academy of Sciences) and the CNRS. Tseng ZJ, Wang X, Slater GJ, Takeuchi GT, Li Q, Liu J, Xie G (2014) Himalayan fossils of the oldest known pantherine establish ancient origin of big cats. Proc R Soc B 281: 2013.2686. doi:10.1098/rspb.2013.2686.